Today I have revisited Graphic 45 Birdsong patterned paper,which I haven’t had enough time to play with but hopefully while I am on holidays next week I will be able to spend some more time with it! 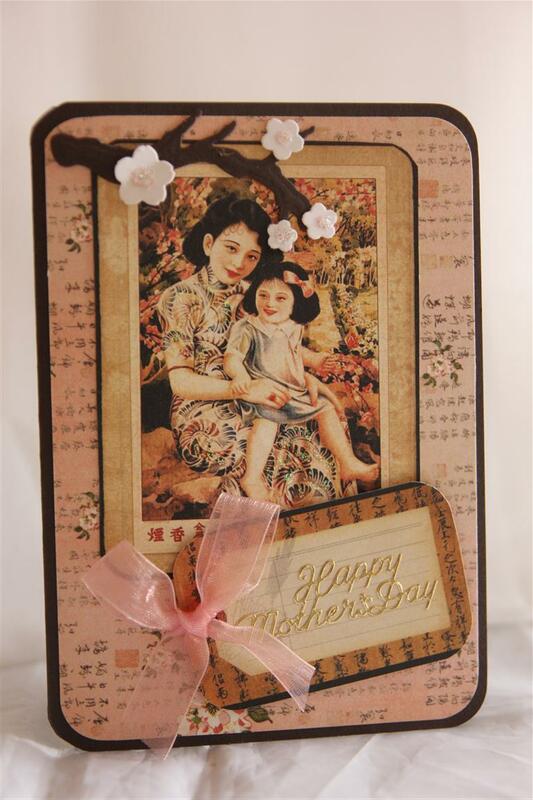 for this Mothers day card I matted everything with Stampin Up early Espresso cardstock, and used my new spellbinders die – Cherry blossom in the top corner. 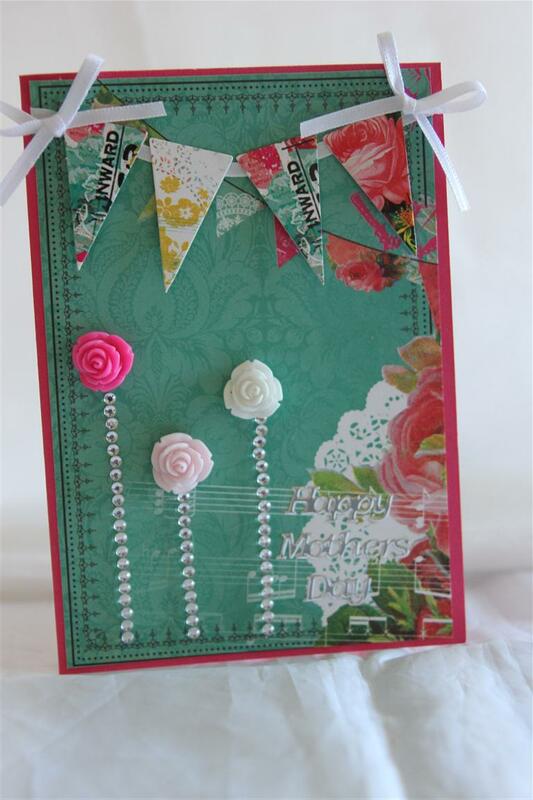 Just an organza bow and a little kindyglitz, and a simple card! Til tomorrow…. Firstly, welcome to my new subscribers, and thank you to all who keep visiting me ! Tonight we are up to kaisercraft The Lake House number 6 – one more to go before we move on – here I have used the 6″ pad, and fussy cut the patterned piece of paper that is in the centre of the card. 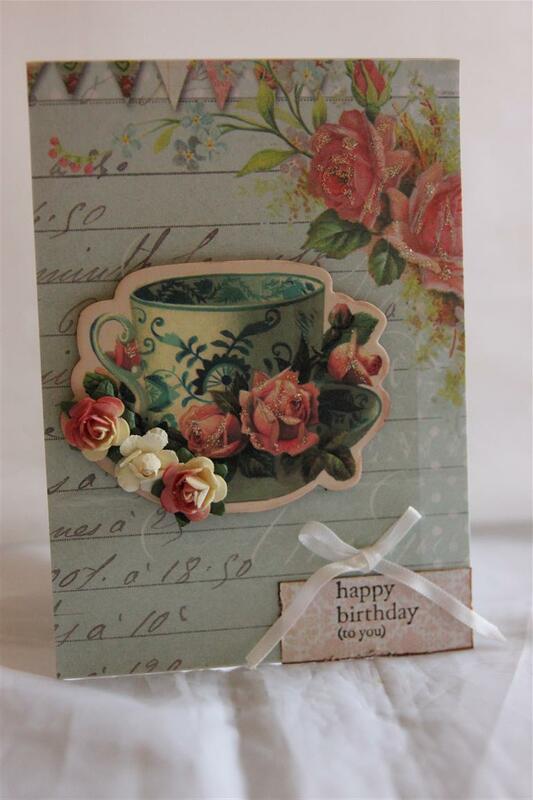 I used some pink bazil cardstock and the card base is stampin Up early Espresso. i just added a few flowers to finish. 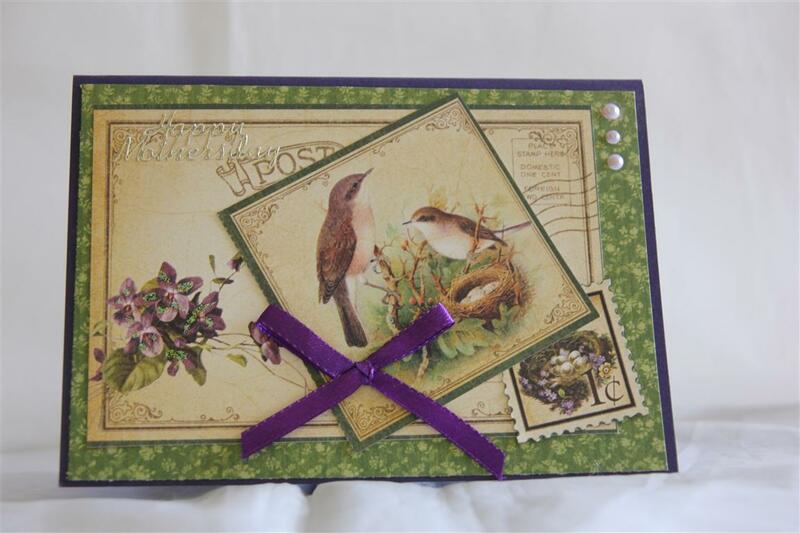 the greeting in the centre of the card was in the 6′ pad.very early start for work this morning ( 4 am) so early to bed for me tonight but I am on 4 days off now so plan to do lots of cardmaking! Til tomorrow…. 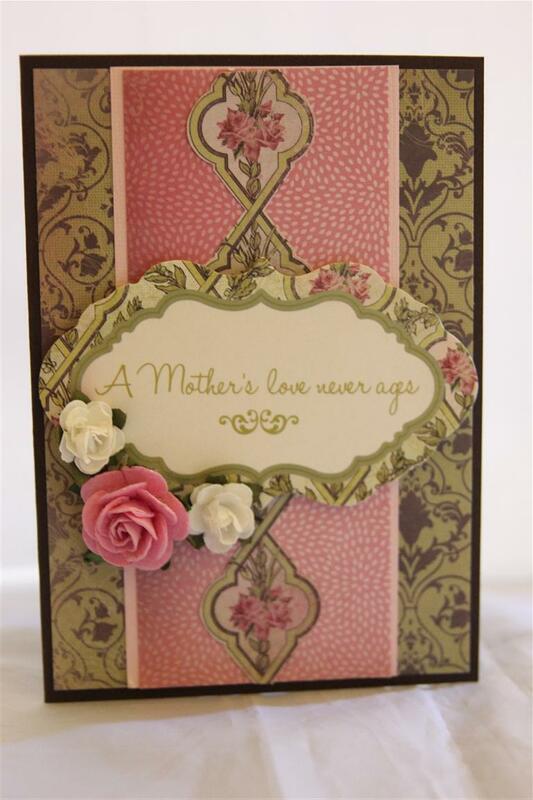 As Mothers day is just a few days away now ( my list is on the fridge boys!) 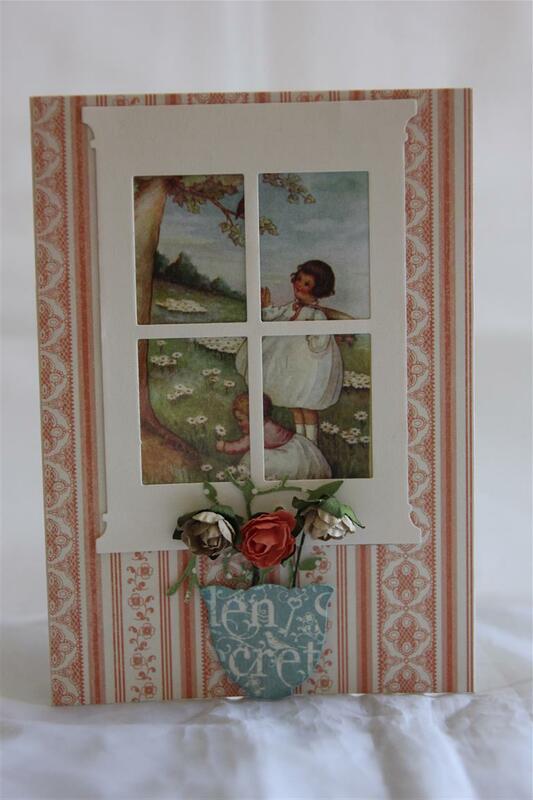 I thought I would post this one which I made using Melissa francis paper – Rose, and 2 Stampin up stamp sets – Element of style which I stamped with close to cocoa ink ( Stampin Up) to frame a border around my main image which was from the Established Elegance set. 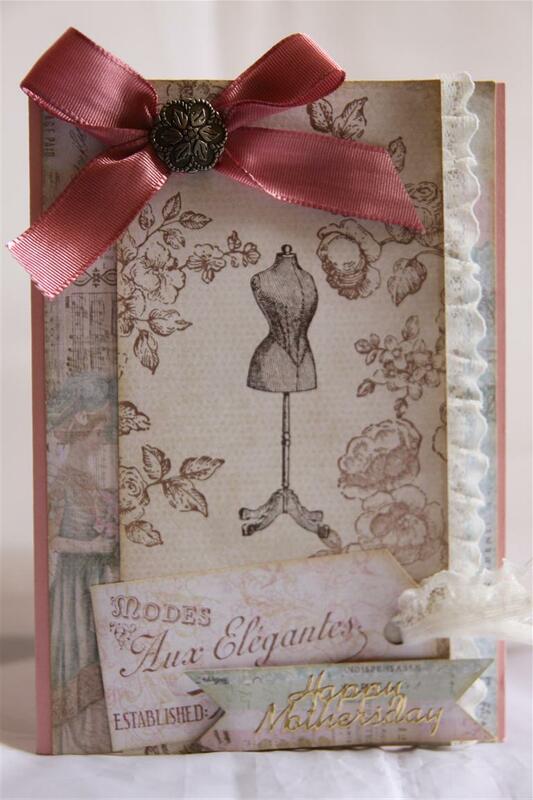 I used another stamp from that set to make the tag.The cardstock was Stampin Up Blushing Bride, and I added a lovely big bow with a Stampin Up Vintage brad and a strip of lace to give the whole card a vintage look.I have made a very similar card for my friends daughter who is turning 16 – I hope I didn’t send her this one – I am starting to have my doubts- Oh dear…..A big hello and welcome to all my new subscribers, til tomorrow…..